As of Thursday the Hector: Badge of Carnage series is coming to the Apple iPad with Hector: Ep1 HD — We Negotiate with Terrorists launching as of May the 12th from Telltale Games in conjunction with Straandlooper. 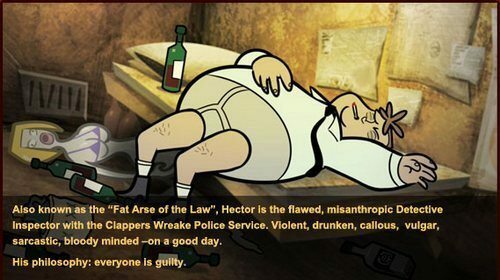 Hector: Ep1 HD – We Negotiate with Terrorists is the first of 3 episodes in which the user becomes Detective Inspector Hector and gets to unravel mysteries, serve justice, and solve challenging puzzles. And just so you can see what Hector is all about we have a short promo video below for your viewing pleasure…enjoy.